Therapist burnout is real. You can address burnout with some simple steps. But, on reflection, I can think back on times in my life when I have been burned out. When I’ve felt like I just couldn’t do another day, fighting the same battles with little apparent progress. Futility leading to lethargy leading to a lack of a sense of purpose. So I do believe burnout is a real thing and not a character flaw. I believe that it is primarily due to stress from factors that we feel are not in our control. Just “getting back to work” isn’t the answer to burnout. To paraphrase the Serenity Prayer: We need to analyze the causes, address the issues that we are able to address, and accept what is truly out of our control. I believe that there are special stressors in our profession that contribute to physical therapist burnout, and I also believe that most of it is actually within our control. In a recent editorial in JAMA, the authors attribute physician burnout to many factors, including greater productivity expectations, increased workload, reduced autonomy, clerical burden, regulatory requirements, and an unprecedented level of scrutiny. While we wait for the promises of value-based care to obviate these ridiculous fee-for-service rules, the only solution is to automate all of these compliance and regulatory requirements as much as possible. Your systems should take care of aggregating CPT codes properly based on the therapist’s documentation, guide the therapist through all of the regulatory hurdles, and help them document the medical necessity of their patient’s care. Ideally, therapists should only be required to use best practices to address compliance and regulatory issues: Do a good job of explaining the patient’s problem, documenting what was done, why it was done, and (unfortunately) reconciling treatment time. Therapists shouldn’t have to think about the rules; they should be provided tools that support the rules. Reduced Autonomy I believe that reduced autonomy in our profession is somewhat self-inflicted. We simply don’t give ourselves enough credit, and we still have a tendency to see ourselves as subservient technicians, rather than autonomous professionals. We need to change that mindset. In my opinion you have a professional duty to assert your stance as a professional. You have a professional opinion that may be at odds with another professional’s opinion. Get in the debate! State your position! Do the right thing for your patient if you can’t come to a consensus. Being assertive is tough, but acquiescing to ridiculous “orders” will take you down the trail to burnout. So, how do we address all of this scrutiny? We have got to become better communicators and rely on systems to help us. Get rid of the PT acronyms in reports. Remember, the primary people reading your evaluations and progress reports are not physical therapists. They are physicians, nurse claims managers, and claims managers. They probably don’t know what you mean by PNF, Grade IV PA glides, HEP, etc. So spell it out as simply as possible. Someone reviewing your chart may not ever completely understand the procedures you performed, but they should at least be able to get a general understanding. Explain the rational basis for your treatment plan. 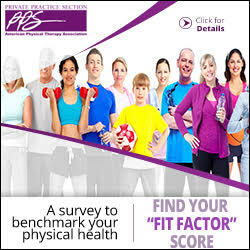 Again, the person reading your reports may not be able to understand the details about your treatment, but they should be able to understand that your plan has a rational basis grounded in realistic goals to improve the patient’s function. Listing a bunch of very impressive special tests is fine, but you need to be able to explain how those special tests relate to the big picture. Have a non-physical therapist do some chart reviews. Ask them what they understood from reading your reports. If they do not understand the functional deficits and the rationale for your treatment on some level, you are subjecting you and your team to increased scrutiny. I think a big part of taking care of yourself is spending some time, every day, for humor. Watch something funny on TV. Ask Siri or Google or Alexa for a Knock Knock joke, and don’t be afraid to use them! Figure out what issues you can control and control them. Learn to accept what you cannot and forget them. Put on your own oxygen mask before helping those around you. Take time to laugh, every day. Jerry L. Henderson, PT, and the vice president of Therapist Success at Clinicient. He can be reached at JHenderson@clinicient.com. *The author has a vested interest in the subject of this article.